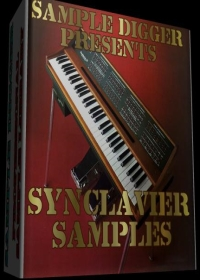 The Synclavier is something like the Rolls-Royce or Bentley of the Vintage Synthesizer heritage. A wildly expensive vintage digital sampling synthesizer designed for the most professional musicians and sound designers. 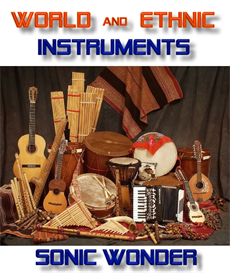 Designed during the '70's, they still can be found (as prized possessions) in use by various sound designers and some musicians. Although there have been three models, (the second called the Synclavier II pictured above) they are most often referred to as just a Synclavier. The first version appeared in 1979 but was soon replaced by the Synclavier II with a new 'partial timbre' sound editing feature (it tweaks the harmonics), built-in FM synthesis and an external Hard Disk storage option. In 1984 a new model was re-introduced and became the most infamous version of the Synclav. The hottest feature was a full sized and weighted keyboard with velocity and aftertouch which replaced a plastic cheesy keyboard. 64 voice polyphony, 32MB of waveform RAM (expandable to 768), 32 outputs, music printing output and digital recording (up to 16 tracks, 50kHz). 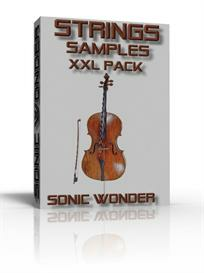 An optional DSP effects package including time compression/expansion is available for the Synclav as well. There is also a standard onboard Arpeggiator and a robust Sequencer with up to 200 tracks and the ability to record and output samples at up to 100 khz! It should be noted that there are all sorts of 'sub-revisions' of the hardware component of the Synclav II, and these make each version capable/incapable of doing certain things. Some lower-end versions are not capable of using the 'Timbre-frame' timbral scanning programming method. Others are not capable of handling a MIDI retrofit. And all of these have different 'top versions' of the OS that they can handle, making the purchase of a used Synclav system a dicey affair. You can't always be 100 sure of which variation you're buying without some extreme care being paid to which hardware it has and what versions of the OS it's capable of running. You could therefore be buying anything from a high-end sampling/sequencing workstation unit to a rather complex 12-op FM/additive synth, and several possibilities in between. I expected to find some drums too, but unfortunatly I was wrong!